Island or Peninsula? Granite or Composite? You’ve never had enough counter space in the kitchens that mark the memories of your life. You need plenty of room: Space for the breadmaker, the mixer, the cookie sheets, two cutting boards, the wine decanter, a fruit bowl, three cookbooks, and a bouquet of flowers. Plus, you need space for onlookers to take a pew. 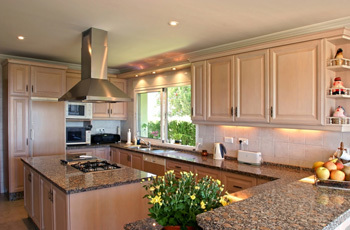 Do you opt for an island or a peninsula counter configuration? Or just a broad swath of counter space neatly lining one wall of your kitchen. And what material works best? Granite is undeniably classic. But you choose composite. It’s durable, sleek, uniform, and sterile. Right. A steely grey composite island with space for four barstools. Now that that’s decided, it’s on to cabinetry and storage. Do you need a pantry? How many dishes, pots, pans, and glasses do you own? Where will you display your collection of mugs? You’d better opt for cabinets with glass windows for that section of your kitchen storage. The pots, you’re sure, belong above the island on a ceiling-hung pot rack. Wait, do you need a wine rack? How about a bar? Be sure to include a drawer for the corkscrew and bottle opener. And leave a slot for a wine cooler to chill your whites. 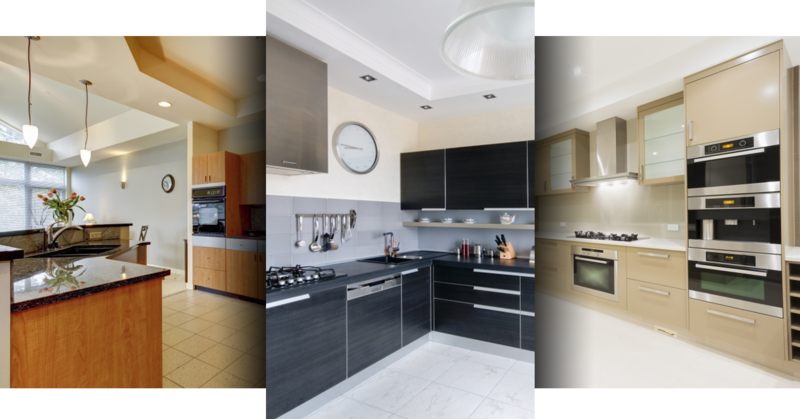 Will you go with white or stainless steel appliances? Stainless steel is timeless, yet white is uplifting and enlightened. OK, stainless steel. How big will the refrigerator be? Is it a side-by-side freezer-fridge model? No? On to the dishwasher. You want the best, you’ve never been a fan of hand-washing dirty dishes. Now the range must be gas, and you’ll need a ventilation system. Oh, and you’ve remembered that you’ll need space to stow an espresso machine… You just can’t operate without your morning coffee. Here at Draftermax, we understand your desires. You want the best kitchen space, outfitted with appliances, cabinetry, a cool composite countertop island, and sure, the kitchen sink too. We’ll work with you to design the kitchen you desire and the home of your dreams. Count on our team of architects, draftsmen, and engineers to design your dream home.